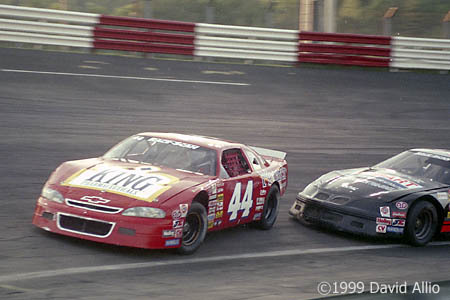 1999 May 29 | Saturday: Nate Monteith (44) Chevrolet slides in front of Tommy Spangler (23) Pontiac during the NPI Media 100 NASCAR Winston Racing Series Late Model Stock Car event at Lonesome Pine International Raceway in Coeburn, Virginia. 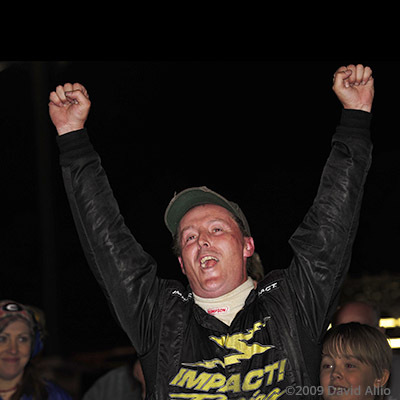 2009 April 17 | Friday: Randy Porter celebrates his win in Upstate 100 Georgia Asphalt Series (GAS) late model event at Anderson Motor Speedway in Anderson, South Carolina. 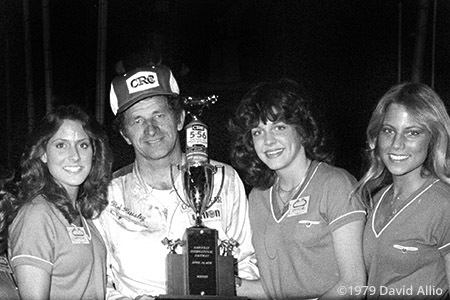 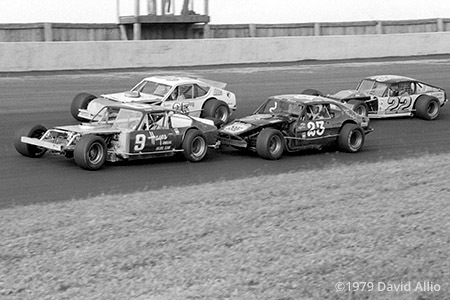 1979 September 09 | Sunday: Ralph Brinkley (9) Chevrolet Vega races Junior Miller (95) Plymouth Arrow, Bobby Loftin (23) Mercury Capri, and Billy Hensley (22) Plymouth Arrow in the Apple Harvest 300 NASCAR Southern Modified Tour 100 lap event at North Wilkesboro Speedway in North Wilkesboro, North Carolina. 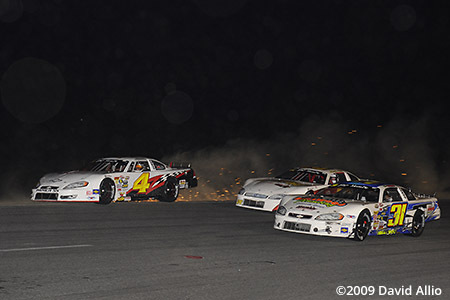 2009 June 06 | Saturday: Sparks fly as Michael Pilla (4) Chevrolet Impala SS runs off the top of the backstretch in the Watermelon 100 American Speed Association (ASA) RC Cola/MoonPie Southeast Asphalt Tour (SAT) Late Model race at Watermelon Capitol Speedway in Cordele, Georgia. 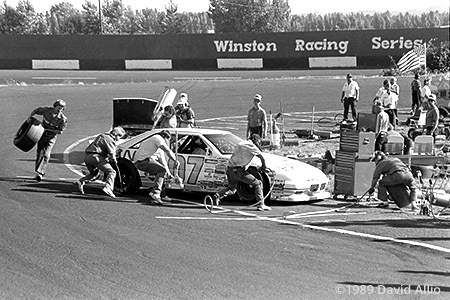 1989 July 04 | Tuesday: Mark Walbridge (07) Pontiac Grand Prix makes a pit stop in the Winston 200 NASCAR Winston West event at Portland Speedway in Portland, Oregon. 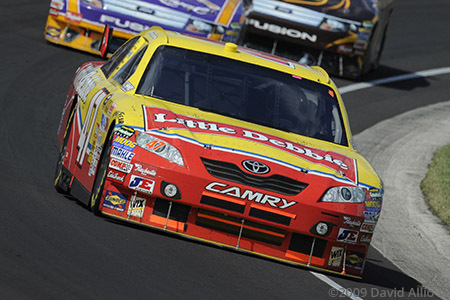 2009 July 26 | Sunday: Marcos Ambrose (47) JTG Daugherty Racing Toyota Camry races through turn four in the Allstate 400 at the Brickyard NASCAR Sprint Cup Series race on the Indianapolis Motor Speedway in Speedway, Indiana.